CANDELA. 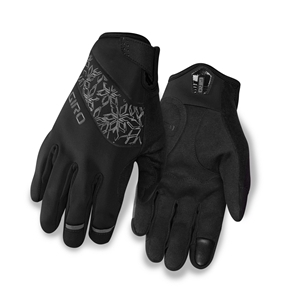 A WOMEN’S GLOVE THAT’S TAILOR-MADE FOR COLD CONDITIONS, WHERE WARM DRY HANDS ARE ESSENTIAL (40° F / 5° C). The Candela™ combines a weather and chill-resistant soft shell upper with X-Static® AGrid™ anti-microbial fleece performance lining and an AX Suede™ palm for warmth, water-resistance and dexterity. It’s light feel is great for long rides, yet it packs enough warmth to fight off temperatures that hover above freezing.